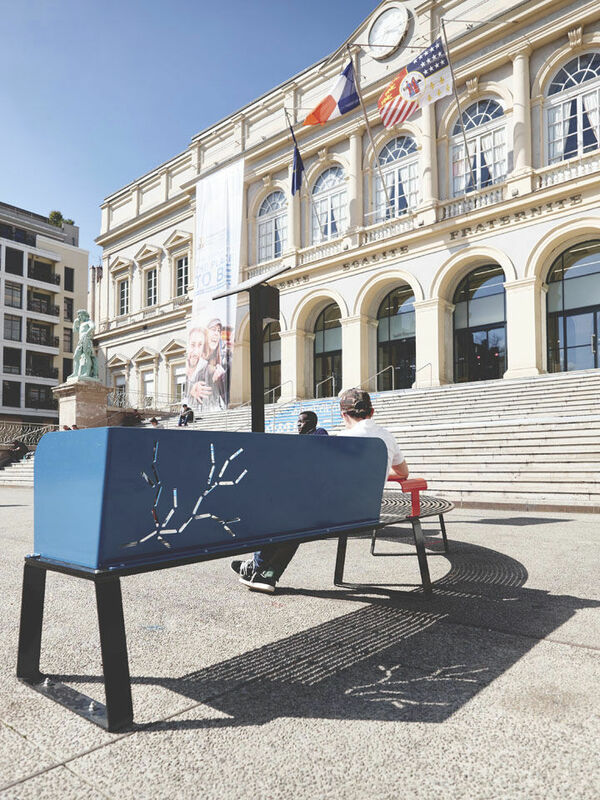 Tolerie Forezienne and its brand TF urban has been designing and manufacturing street furniture for 10 years, working with more than twenty designers. She has been participating in the Saint-Etienne Design Biennale since 2008, and again this year thanks to the “test bench” approach, she offers three new products to the public: Nomad, Banki, The Smallest Stand in the World. 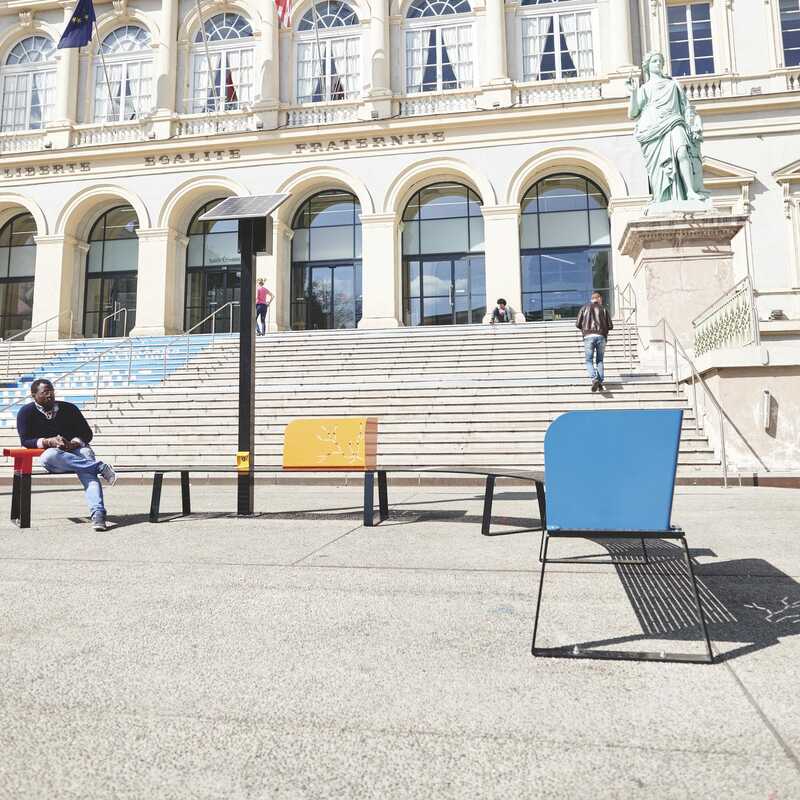 The “Banki” project was born from the observation of uses and practices in the urban space and how the furniture can become a vehicle for social interaction. 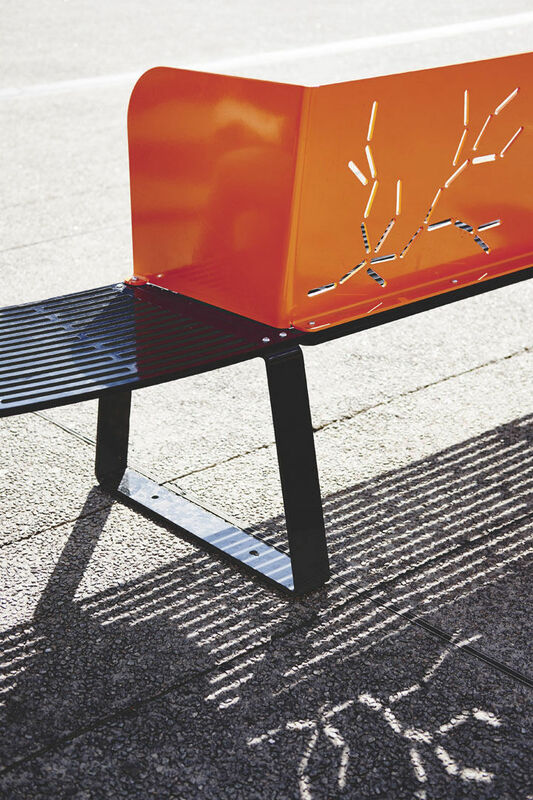 One of the motivations behind this project was to give back to the public bench its essential roles, namely to create a space where people meet, discuss or sit together. 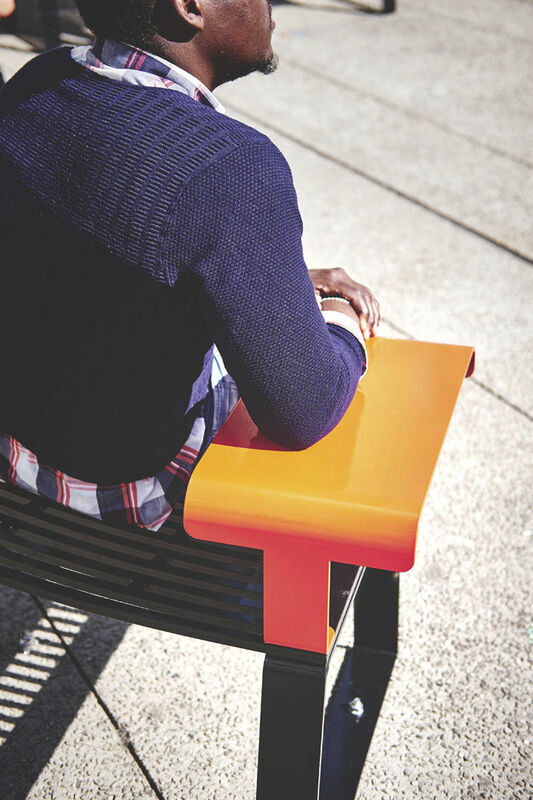 “Banki” consists of two types of seat: a “straight bench” and a “curved bench”. 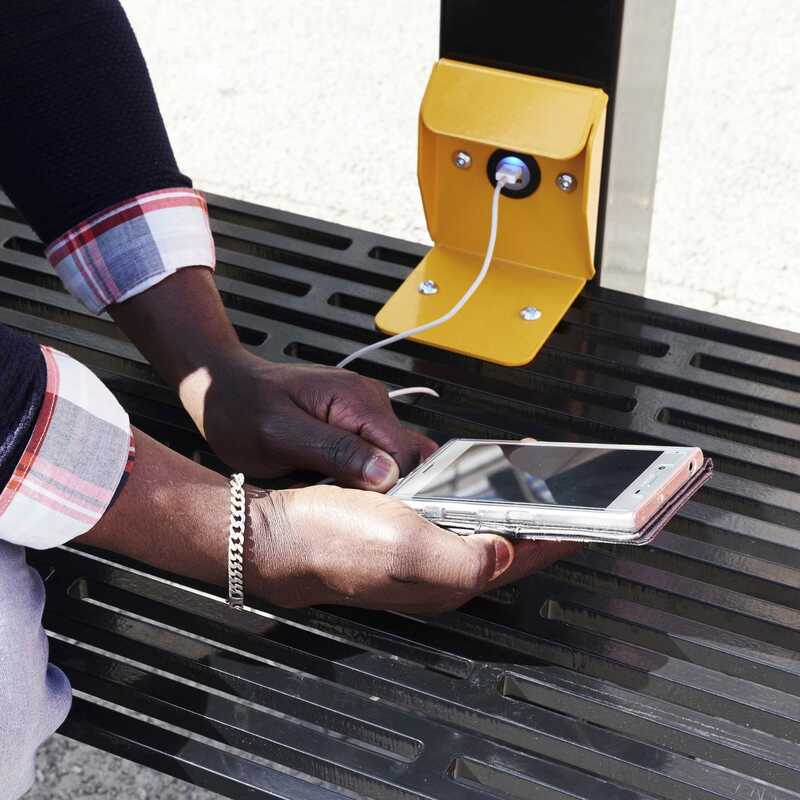 In order to integrate in all types of spaces (street, square, etc. ), the project was conceived in a spirit of modularity and adaptability. Easy to install, all elements are independent and allow multiple layouts according to the needs and constraints related to the location.